What was James to Jesus? Was he the eldest or youngest of the brothers and sisters? When did he become a follower of Jesus? Why was he sidelined in spite of being chosen by Jesus to head his movement? Why was James stoned to death? 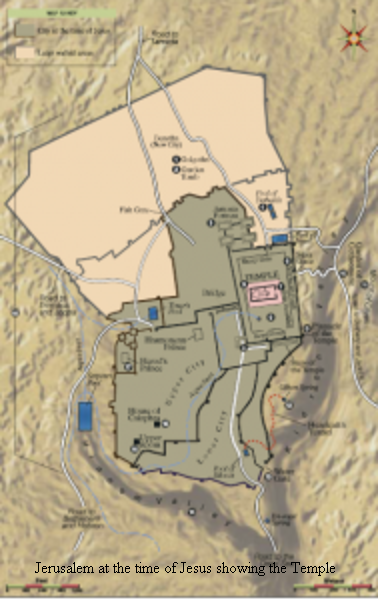 Was James the leader of the Essenes? What were the consequences of the death of James? When Did James The Brother Of Jesus Become A Disciple? “Truly I tell you, no prophet is accepted in the prophet’s hometown.” (Luke 4:24). In fact a reading of the First Apocalypse challenged the notion that James was at first an unbeliever by showing the special relationship between James and Jesus. This reading (31.4 – 5; 32.7 – 8) showed that James embraced and kissed the risen Jesus. And the Second Apocalypse explained how Jesus embraced James and kissed him on the mouth. Why would Jesus have asked his disciples to follow someone who did not believe in him? Why would Jesus have kissed James and called him “my beloved”? And why would he have appeared to him after his resurrection? It is more likely that James followed Jesus to Jerusalem at the beginning of his ministry. However whether all his other brothers followed him is debatable. Whether or not James believed that Jesus was the son of God is debatable. But what is almost certain is that the relationship between the two was dear, and that he was so totally supportive of Jesus that James was the first choice of Jesus to lead his ministry after his crucifixion. This choice was made by Jesus himself before his crucifixion. It can be gleaned from Acts, Galatians, and I Corinthians that James was a loving follower of Jesus and that he did not become a believer only after the resurrection. The fact that Jesus reposed trust in James to carry on his ministry with the necessary authority only showed that James was one who believed in the teachings of Jesus and shared his principles. Was James The Righteous Teacher Of The Essenes? Paul stressed the importance of faith. In contrast to this James emphasized the importance of works. He taught that they are not the ‘works of the law’, but instead they are works fulfilling ‘the royal law of love’ which make known the presence of genuine faith. (17) Further, Pauline Christianity was an amalgam of Jewish, Greek and pagan beliefs. As compared to this James was a typical Jew of that time: conscientious and particular about the observance of rituals and venerating the Temple. It was also said that when the disciple Paul was Rabbi Shaul he personally accosted James the Just and attempted to destroy him. Paul was different from James and the other apostles in many fundamental respects. He was born a Gentile into a rich family in an urban center which was the capital of a Roman province and raised in a predominantly Hellenistic setting where paganism was everywhere. When he came to Jerusalem he already had certain fixed notions of religion. (4) New Testament Apocrypha: Gospels and related writings, By Wilhelm Schneemelcher, Robert McLachlan Wilson, Westminster John Knox Press, 1991, pg 119. (26) Painter, John. (2004). Just James, The Brother of Jesus in History and Tradition. Columbia. University of South Carolina Press, pg 57. 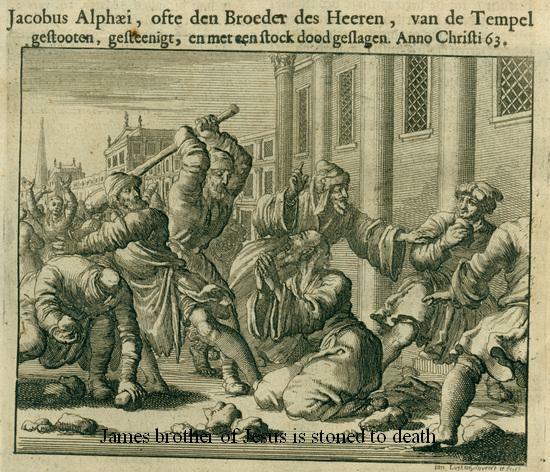 James – Full Brother Of Jesus, His Step Brother Or Cousin? Mary could not have had any children after Jesus. Was He a Full Brother of Jesus? Painter’s interpretation of this reading was that James was not the actual brother of Jesus nor was the mother of James also the mother of Jesus. Jesus calls Mary his mother and James his brother merely because they were nourished with the same milk. “1) The mother of James also fed Jesus with her own milk, leaving no room for the theory that James was the child of Joseph by a first marriage while Jesus was the child of Mary. That the one who fed both Jesus and James was actually the mother of James is not in question here. 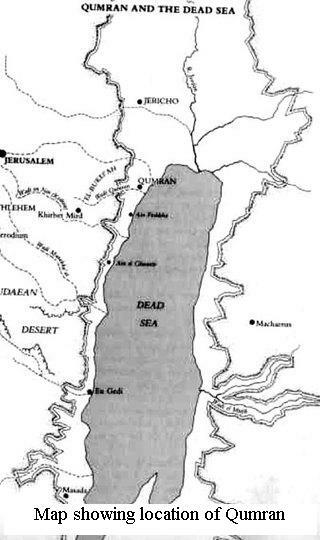 2) There is no room for the view that James was a cousin of Jesus. However, when Mary referred to “this same milk” she was probably referring to herself. If she had meant the milk of another woman she would have probably just said “the same milk”. This therefore does not rule out the possibility that the age difference between James and Jesus was not much and that she had nursed them both. Another theory by the proponents of the virginal birth of Jesus believe that Joseph and Mary lived as a sexually active couple after the birth of Jesus and therefore the siblings purported to be the siblings of Jesus were his co-uterine siblings. This they believed was confirmed by Matthew in 1:25. (6). Did Jesus Have Step Brothers and Sisters? 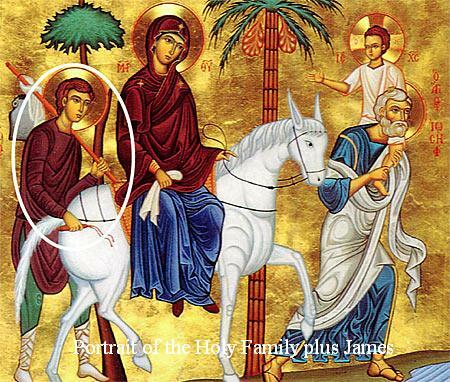 Those who advocate the continued virginity of Mary contended that James and the others could not have been full brothers and sisters and they were the products of Joseph’s earlier marriage. This contention was based on the apocryphal Gospel of James from the second century. This reasoning had the support of the Eastern Orthodox Church and some among the Roman Catholics. However according to the writings of Jerome and Augustine Joseph was not married prior to his marriage to Mary and that the brothers and sisters of Jesus were in fact his cousins. Was James the Cousin of Jesus? 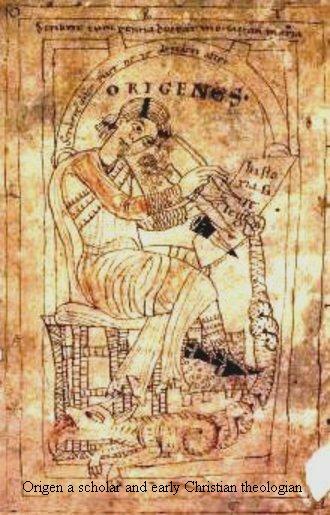 Jerome argued in his De Viris Illustribus, that James was not a full-brother of Jesus but only a cousin. He contended that James was the son of Mary of Cleophas who was the sister of Mary the mother of Jesus. Besides this, as both Aramaic and Hebrew did not have a word for cousin, cousins were traditionally referred to as siblings. Even in Greek, which was often the language of early Christian literature, the words adelphos and adelphe were not limited to refer to full brothers and sisters. As regards the Catholic Church, it preferred to believe that James and the others were the cousins of Jesus rather than his half-brothers and sisters. Some scholars proposed that James and the others were neither cousins nor step-brothers and sisters but related in some other way. Is James the eldest or youngest? The other controversy in the relationship between Jesus and James is whether he was the oldest or the youngest of the purported siblings. Since James was always listed first among the “brothers” in Matthew 13:55 and Mark 6:3 it was generally understood that James was the eldest. But not everyone agrees. The majority Catholic opinion is that Joseph was many years older than Mary and was a widower with six children – two girls and four boys. Four of those children were already married by the time Joseph took Mary to his house. Only James was a little boy and “Mary took care of James and raised him with Jesus.” (11). This theory seemed the most plausible considering the closeness between Jesus and James. In the Protevangelium of James – a document so called because of its content and the purported author is James himself – identifies James as Joseph’s son by an earlier marriage. This view took a back seat having been rejected by Jerome. By the time Mary went to Joseph’s house two of his sons and two of his daughters by his marriage to Salome were married and stayed separately and Judas was old enough to go along with his father to Sepphoris to assist him in his carpentry work. Therefore the fourth figure in the painting can be none other than James. (4) Painter, John. (2004). Just James, The Brother of Jesus in History and Tradition. Columbia. University of South Carolina Press, pg 175. (5) Painter, John. (2004). Just James, The Brother of Jesus in History and Tradition. Columbia. University of South Carolina Press, pg 175. James The Just – What Was He To Jesus? While it seems characteristic for the people in Jesus’ inner circle to be mired in controversy, it is James the brother of Jesus who is by far the most mysterious. James is probably the key to resolving the Talpiot conundrum. This is the story of James including the puzzles that were part of the life of one of the most important leaders of the early church. James the Just was first mentioned in the gospels of Matthew 13:55 and Mark 6:3 where he was listed together with three other brothers and two sisters. All the brothers and sisters are older than Jesus and may not have been his full siblings. Although he is described in the New Testament as the “brother of Jesus”, and in spite of much debate, not everyone agrees about his actual relationship to Jesus. Because of his strict ascetic way of life, his godliness and his sincerity he is also known as James the Righteous. In the Liturgy of James he is described as “the brother of God” (Adelphotheos). James is also referred to as the first bishop of Jerusalem, the author of the Epistle of James, the first of the Seventy Apostles of Luke 10:1-20. According to the Catholic Encyclopedia which bases its conclusion on the accounts of Hegesippus it is quite likely that James the Just is the same as James the Less. He is thought of as one of the three pillars of the early church (1). As regards the Epistle of James, not all scholars agree that it was indeed written by the purported author. 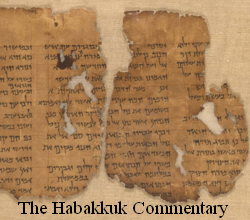 For instance author Raymond E. Brown suggests that the Greek in which this epistle was written was so effortless that it is unlikely that James whose mother tongue was Aramaic could have authored it. It has been suggested that while the epistles may reflect the ideas of James they were probably written by a scribe or one of the followers of James. However other scholars Luke Timothy Johnson and James Adamson argue that James could have been sufficiently fluent in Greek to have authored the epistle himself (2). In fact James the Just is particularly remembered for this epistle. If indeed the Epistle of James was in fact written by him or even if someone else had helped him to write it, it would be one of the earliest New Testament documents (3). Some scholars believe that the authoritative tone in which it has been written would indicate that the author is indeed James – someone who actually knew Jesus. Some insight into the life of James the brother of Jesus is found in the canonical writing of the New Testament as well as in some of the written sources of the early church. While the synoptic gospels mention the name of James, there is nothing said about him in the Gospel of John and in the early chapters of the Acts of the Apostles. It was not for nothing that James was called “the Just”. He was a teetotaler and a vegetarian (4). Besides this, James the brother of Jesus did not shave, bathe or anoint himself. He did not wear woolen clothes. His vestments were made of linen. 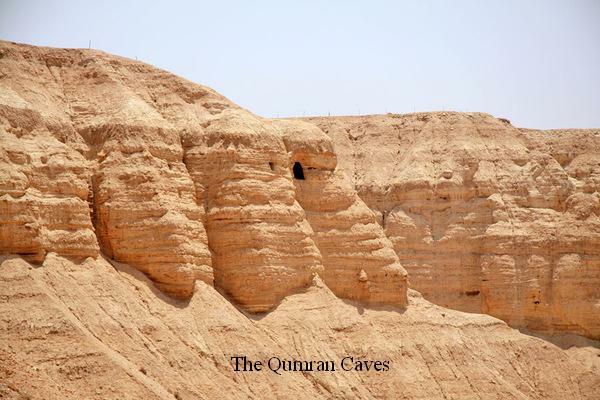 He went into the temple alone so often and knelt as he prayed for others that his knees became as hard as a camel’s. 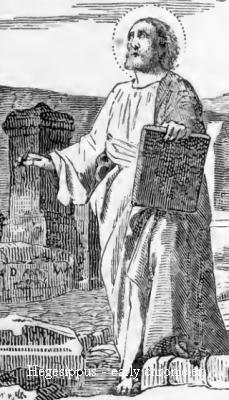 The fact that he went into “Holy of Holies” where it was unlawful for anyone other than high priests to enter, Jerome suggests that James was considered a high priest based on the writing of Hegesippus (5). This was also suggested in the Pseudo-Clementine Recognitions. However in 1 Corinthians, Paul insinuates that James was a married man (6). James the Just is sometimes confused with other important biblical characters bearing the name James, especially three who were important for their ministry of Jesus during the early church. These were James the son of Zebedee and brother of John and an apostle (Matthew 4:21; 10:2; Mark 1:19; Luke 5:10), James the Less, son of Alphaeus and also an apostle (Matthew 10:3; Acts 1:13). There is a James mentioned in Paul’s First Epistle to the Corinthians. According to Paul, an inspired apostle, Jesus appeared to James following his resurrection (1 Corinthians 15:7). Based on the Gospel of the Hebrews, we learn that James was the first to see the resurrected Jesus (7). It is generally understood that this James is James the Just. James the Just was the leader of the Christian movement in Jerusalem for many years after the crucifixion of Jesus. In fact he was said to have been at the helm of the Jerusalem church for thirty years (till the seventh year of Nero). However there is not much information about him and what little is available is vague (8). The principal sources of information relating to James are Acts of the Apostles, the Epistles of Saint Paul, the historian Josephus, and the early Christian author Hegesippus. Some Pauline Epistles contain information about James relating to the period 35 – 55 AD. The first-hand source of information relating to James the Just is contained in the letters by the apostle Paul. While according to some sources James is referred to as the brother of Jesus, scholars are of the opinion that he was only a brother in a spiritual way. However others claim that he was a full brother of Jesus or perhaps his stepbrother or maybe just a cousin or an otherwise close relative (9). James like his other three brothers was not sympathetic to the early ministry of Jesus. This was borne out in John 7:5. But this was said to have changed after the resurrection of Jesus. After the resurrection of Jesus some or all of his brothers were said to have joined the company of the apostles (Acts 1:14). In fact after the supposed resurrection of Jesus, James became such a staunch believer that Jerome, quoting from the non-canonical Gospel according to the Hebrews said that James decided that he would neither eat nor drink till the risen Jesus appeared to him. And supposedly Jesus appeared to James and said “My brother, eat thy bread, for the Son of man is risen from the dead” (F. W. Farrar, The Pulpit Commentary, Grand Rapids: Wm. B. Eerdmans Publishing Company, 1950, Vol. 19, p. 484). Even according to Paul, James was one of the few people that Jesus appears to following his resurrection (1 Corinthians 15:7) (10). In the closing portion of Acts 1: 14, Luke presents the family of Jesus that includes Mary his mother and the brothers and identifies only James by name. Here Luke explains that after the Ascension, the apostles return from the Mount of Olives and gather in an upper room in a house in Jerusalem to pray. Together with the apostles were Mary the mother of Jesus and the brothers. From Luke’s explanation it is plain that the piety of the brothers was not because of some radical change of heart as a consequence of “some resurrection appearance” (11). From the Gospel of Thomas we learn that James the Just was appointed as the head of the church in Jerusalem by Jesus himself. According to this gospel the disciples asked Jesus “We know that you will depart from us; who is it who will lead us?” Jesus said to them, “Wherever you have come from, go to James the Just, for whom heaven and earth came to be.” In Galatians Paul showcases James as one of the three pillars of the early church together with Cephas (more commonly referred to as Peter) and John (12). However though the scriptures tend to show that James the brother of Jesus was the first bishop or patriarch of Jerusalem this did not seem to undermine the importance of Peter. The Roman Catholic Church insists that while James was the bishop of Jerusalem, he was by no means the head of the church and that this distinction belonged to Peter by virtue of being the “Rock” and the “Chief Shepherd”. According to the historian Eusebius, Clement of Alexandria had this to say about the appointment of James to the episcopacy of Jerusalem “For they say that Peter and James and John after the ascension of our Saviour, as if also preferred by our Lord, strove not after honor, but chose James the Just bishop of Jerusalem”. James was chosen the first bishop of Jerusalem because of his special relationship to Jesus and his devoutness (13). The fact that James was the leader of the Jerusalem church from its inception lends credence to the argument that the family of Jesus was among his followers during the time of his ministry itself and not after the resurrection. The evangelist Mark was critical of Jesus’ family and of the twelve apostles because of the struggle that was going on for the leadership of the church of his time. The role of James has been marginalized by the authors of the New Testament because they did not want to promote the Jamesian point of view of the early church. The reason for this was that James represented a sectarian church that primarily targeted Jews whereas the Pauline form was meant for “the mission of the nations” that did differentiate between Jews and Gentiles (14). (5) James the Just. (2012). Retrieved 2011, from http://en.wikipedia.org/wiki/James_the_Just. (11) Painter, John. (2004). Just James, The Brother of Jesus in History and Tradition. Columbia. University of South Carolina Press, pg 42. (14) Painter, John. (2004). Just James, The Brother of Jesus in History and Tradition. Columbia. University of South Carolina Press, pg 97.